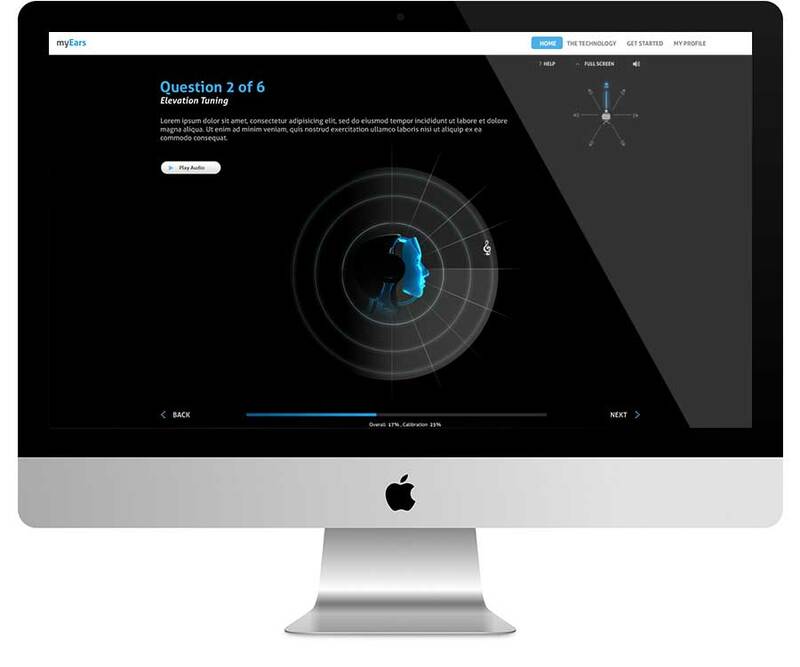 Personal Audio engaged Demonz Media to create a compelling user interfaces for calibrating & configuring MyEars™ technology – an exciting new audio technology that allows the rendering of 3D 7.1 sound over headphones. Current 3D audio over headphones for games, music and telecommunications is a poor imitation of the real “free field” listening experience, as it causes perceptual problems including poor externalisation, localisation, sound quality and listener fatigue. Personal Audio combines cutting edge research in the neurosciences, psychophysics and digital signal processing fields to develop exciting new 3D audio technologies. It enables the superb listening experience produced by NextGen video games and 7.1 sound systems over headphones, resulting in a much greater sense of immersion in the games and an excellent competitive advantage for gamers. MyEars™ includes bleeding edge technology from the fields of neuroscience and signal processing. The ability to tap into this technology by anyone with a browser is a pretty impressive feat. One of the most exciting features is the difference in the experience of users who are able to experience 3D sound with their calibrated headphones. As the system is operating system & browser independent, users do not need to install additional software and plugins to calibrate their headphones for 3D audio. The painless configuration process is one of the greatest strengths of the system. In order to generate 3D sound via headphones, each individual’s ears have to be calibrated to his or her headphone. The calibration process involves a series of tests that determine values which are needed by MyEars™ servers to generate a unique sound profile for each individual & her headphone. All the tests include playing sounds and positioning them in 3D space in order to determine the calibration values. 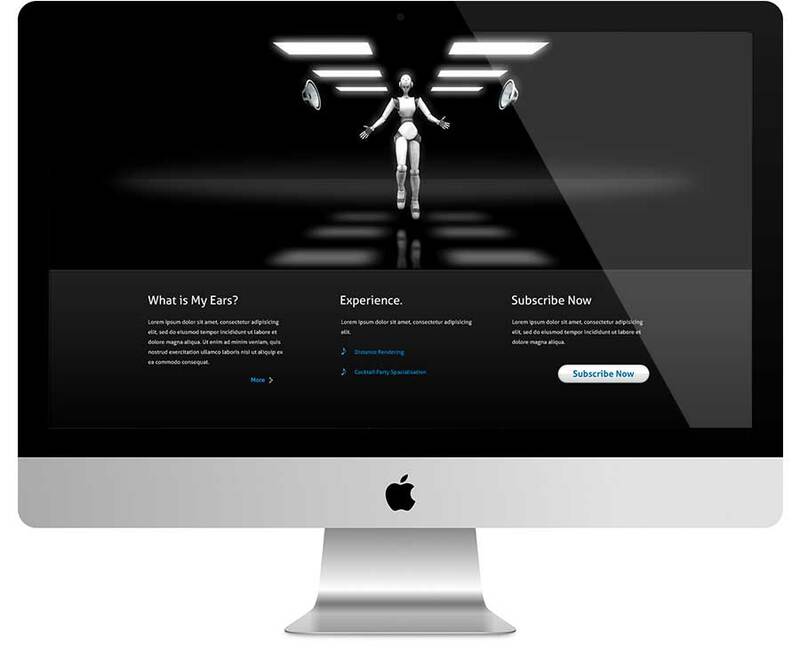 In order to make this task as easy as possible, Demonz created a set of Flash based user interface screens that allows a user to play and position sounds in a perspective 3D space.